Abundance, Peace, Inspiration, Spiritual and The Connection With Self. "We are all in this giant wheel of life, this grand circle and we are all connected. If you enjoy these writings and quotes shared, then part of my life mission is complete. 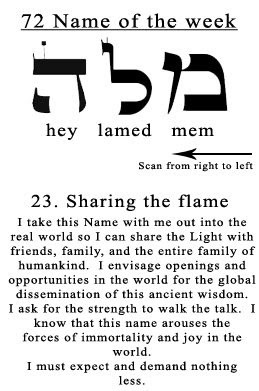 Notice that the writings are all of everything, no particular dogma or religion. There are many paths to Spirit. Some of these may apply, while some may not. Take what is beneficial and leave behind that which is not. 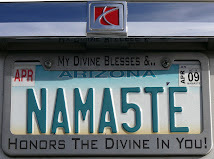 In part, it is what it is and it is my gift to bring enlightenment to all life here and beyond." Lately, these days have been somewhat challenging. What I mean by challenging is trying to stay in alignment with Spiritual laws. Some may or may not know that I currently work for FedEx Express as a part-time courier. Only hoping when I started this job in late 2007, that it would eventually lead into a full-time position. However with today's economy, that idea is slow in coming true. Making ends meet financially is a little trying at certain times. Oh yes, as much as I can get crazy and totally go into the mode of feeling the lack of and claiming my limitless, I do not. This only disconnects me from spirit. I practice that the Universe will always provide and there is absolutely no lack or limitations in life. I can't stress enough to you dear one how much this is true as I myself know first hand. I truly just know that whatever is happening in life from one moment to the next is truly divinely guided and not without order. In fact yesterday while working and making my deliveries, I took some time to think and treat (prayer) about this time in my life. What was simply revealed to me was, to just surrender these moments to God/Spirit and ask what the best way I can be of service. I believe that once we can truly let go and let God, we connect with Spirit and our true potential deep inside each one of us. A potential that is absolutely unlimited. The Universe then graciously smiles upon us and literally grants what we want, need and desire. We also must know that God's time frame is not the same as our time frame. So, if we say we want it now, it may be so or it may be a week, a month. There is is no time frame. But just know this, it will happen. Claim it and bless it. Even sometimes what we ask for will come to us in another way or form. This too is Spirit's unique way, just be open to it. So why and what compelled me to write about this and so personal? You see, I want to be a continued inspiration. This is my passion, my bliss to be of service. I surrender it all the the Great Creator. It is stated that when you truly do what you love to do, following your own unique bliss to your own self, abundance will flow in its own way. I truly desire the ability to help others obtain their goals and tap into their own bliss and passion to achieve their desires in whatever it is for them. To realize that life can truly be lived without limits as this is our divine right of consciousness. So today, say YES to it and claim it and know it so NOW. It's all actually very simple. Don't make it so difficult, you have all the tools, resources and answers already and you know what needs to be done. Now good friend, breathe, relax and surrender. It's already done! "Gods wealth is circulated in my life. His wealth flows to me in avalanches of abundance. All my needs, desires and goals are met instantaneously because I am one with God, and God is everything." 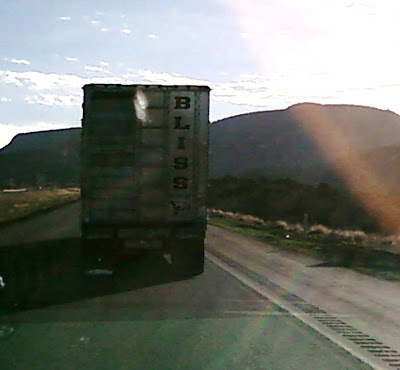 The other day I actually followed bliss. Took this photo on my journeys. "You want to look at your purpose in life. You want to find that meaning within. Once you find that meaning within, and you start to express your purpose, that's when the money starts coming. That's when you attract it." The following poem has actually set the goal of my life and the reason for this blog. Basically it says to me that love is the only difference between life and a living death. I feel the more love a person has, the higher his evolution and development is. In turn, the higher his development is, the nearer is he to the knowledge of God/Spirit, and of course the most asked question, the meaning of life. The noblest work on earth, within my ken. Is ministering to the souls of men. And if our vision's true and God is near, his voice will speak to you and you will hear, "Go ye out to all the world and preach for me The Gospel of Immortality." For God's in every man and man's divine. For He hath said, "Let thy light so shine." That unto all others a beacon it shall be, helping and guiding on toward Immortality. Thou canst not help or guide the least one on if thou are not sure thyself the way is true; that is the reason I have come to you. To make it simpler, clearer, unto thee, to find the way to Immortality. If thou hast helped just one poor, lonely soul. To heal a wound and make it whole, then hast thou seen God, and God shall dwell with thee, making thee sure of Immortality. Contemplate these words. If you have learned to love and appreciate the abundance of God/Spirit around and in us, the natural forces and powers with which we are truly blessed. I encourage you to go out and preach the Gospel of Immortality in your own very unique way. What Is the meaning of Deva Rishi? Both are ancient Indian Sanskrit words. Deva: God, Higher Source, Spirit, Brahma, etc. Rishi: A seer of truth. Person of right vision and action, also known as a sage. One who contemplates or meditates on the self. Teacher, educator or guide. Awaken Your Abundance & Youth Now! "Tired Of Living From Pay Check To Pay Check?" Manjushri - Bodhisattva of Wisdom. A modern invocation sung in Tibetan & arranged with orchestration. Until one is committed, there is hesitancy, the chance to draw back, always ineffectiveness. Concerning all acts of initiative and creation, there is one elementary truth the ignorance of which kills countless ideas and splendid plans: that the moment one definitely commits oneself, then providence moves too. All sorts of things occur to help one that would never otherwise have occurred. A whole stream of events issues from the decision, rising in one's favor all manner of unforeseen incidents, meetings and material assistance which no man could have dreamed would have come his way. Whatever you can do or dream you can, begin it. Boldness has genius, power and magic in it. Begin it now. I love you. I am sorry. Please forgive me. Thank-you.